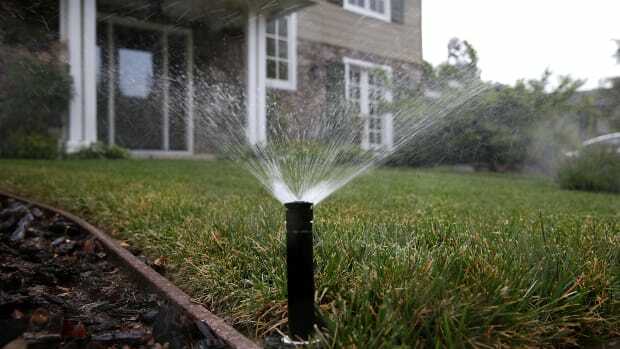 As Californians start looking seriously at using greywater for home irrigation, all roads — or pipes — lead to Art Ludwig. In the mountains above Santa Barbara, Calif., streams run nearly dry for much of the year. The one running through an area known as the San Marcos Trout Club, however, is a bit different. Even in the dry heat of summer, deep pools of cool water swirl in their sandstone basins as it wends through the little nook on its way to the ocean. For Art Ludwig, founder of Oasis Design — a family-run ecological design company covering everything from water delivery and disposal to permaculture — the spot is more than just a peaceful getaway and outdoor office near his home; it provides inspiration when he is cooking up ecological solutions and designing small-scale water systems. "Most of what I&apos;ve learned has been synthesized in the wilderness," he said. "The most ecological solution is the most economical." Finding enough fresh water has always been a challenge for lawmakers and engineers alike in the arid American West. With an ever-increasing population and dwindling mountain snowpack — the spring melts of which supply the lion&apos;s share of water to Western rivers — water resources have become stretched thin. According to the National Drought Mitigation Center&apos;s Drought Monitor, most Western states are currently experiencing drought conditions of varying severity, and have been for most of the past decade. While in the past those who guide policy have relied upon creative outsourcing by water officials, overtaxed reservoirs and river systems have caused them to look more toward conservation as a way to ensure that their constituents continue to receive clean, reliable water at their taps. Although nothing new, diverting greywater — water from washing machines, showers and sinks containing far less bacteria than the funky brew toilets and kitchen sinks emit — for irrigation has become one of the primary tools in a growing arsenal of conservation methods being examined. Although concern has been raised about the health effects of using greywater to water plants, the California Department of Public Health does not have any cases of greywater-related contamination on record. "The most dangerous thing you can do with greywater is stir a bunch of feces into it and overload a septic or sewer system," said Ludwig, adding that sewage treatment systems operating over capacity often dump untreated effluent into waterways. Already in place in Arizona, New Mexico, Texas, Montana, Nevada and other Western states, standards spelling out how best to use water were also passed by the California Building Standards Commission on Aug. 4. Although California state Sen. Alan Lowenthal had already developed a set of greywater standards, a fourth year of statewide drought prompted the California Department of Housing and Community Development to push for emergency greywater standards at the Building Standards Commission. "The reason we did the emergency standards is because in February, [Gov. Arnold Schwarzenegger] declared a drought situation and directed departments to do whatever they could to enable water conservation," said Doug Hensel, deputy director of Housing and Community Development. The result was an intense series of meetings with stakeholder groups that helped shape the standards that were finally adopted in August. "The average person wouldn&apos;t know that much about [installing greywater systems], so we made [the standard] kind of like a recipe to follow." By all accounts a vast improvement over the limited standards California had before this year, Ludwig nonetheless looked to Arizona&apos;s laissez-faire greywater rules — in place since 2001 — calling it the model to emulate. 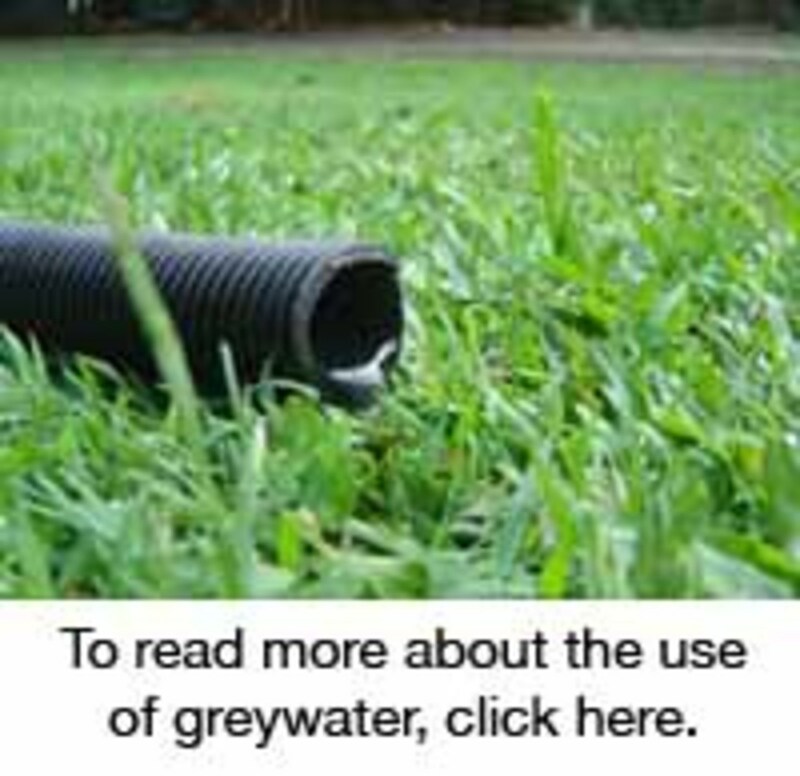 The desert state&apos;s user-friendly two-page brochure makes it easy for homeowners to figure out how to use greywater safely, without impinging upon how they go about designing their systems. Ludwig also advised New Mexico officials when they adopted standards similar to Arizona&apos;s in 2003. "Every site is different, and so are people&apos;s [water usage] habits," said Daniel Wilson, a Santa Barbara-based landscape designer who has begun installing greywater diversion systems in conjunction with fruit tree planting. Despite California&apos;s relatively late entry into simplified greywater regulation, some 1.7 million greywater systems are already installed in homes across the state —there are nearly 8 million nationwide — and until recently, only 200 of them were legally permitted. "It [was] an abstinence-only greywater system. It pushed people to do it illegally," said Ludwig, who stressed that while permitting is unnecessary for simple diversion systems, standards are important to ensure proper use and installation. His Web site notes the difficulty of challenging the status quo and remaining street legal — on one page he writes: "The more ecologically you live, the more illegal it is." And for that reason he provides both code-friendly information for prospective practitioners and a series of ideas for making end-runs around recalcitrant bureaucrats. "State guidelines were very complicated and turned a lot of people off. People found that the standards were too difficult to deal with," said Laura Allen, a member of Oakland-based Greywater Action, a group heavily involved in the stakeholder process that got California&apos;s revised standards off the ground. Now, as in many other Western states, California homeowners with greywater systems diverting washing machine effluent to irrigate onsite trees do not require a permit. This is where Ludwig and others experienced in building greywater systems come in, providing vast informational resources for existing and would-be greywater users. Not as simple as collecting laundry water in a bucket to pour on a garden, only certain types of plants — mostly fruit trees and flowers, but not vegetables such as carrots and lettuce — can benefit from greywater irrigation. It also requires that homeowners, if they weren&apos;t already doing so, use biodegradable laundry soap, as traditional soaps would harm the plants. "As long as you&apos;re using the right products, [greywater irrigation] makes a lot of sense," said Allen, who has been using greywater on her kiwi and apricot trees and berry bushes for a decade. On the whole, greywater use seems to have attracted a passionate group of individuals, and a wealth of information is available for both do-it-yourselfers and those who are simply curious. When it comes to greywater, all roads on the information highway lead to Ludwig, who has been researching and designing the uses and impacts of greywater for nearly 20 years. "Greywater is part of a system that would allow us to exist on 90 percent less resources," he said, explaining that his work reflects a belief that water use is connected to a number of other things, including energy use and ocean water quality. Transporting water over hundreds of miles and even pumping it over a mountain range, the State Water Project is California&apos;s single most prolific user of energy, consuming about three percent of all the electricity used in the state, by EPA estimates. (The National Resources Defense Council puts that figure significantly higher, at 20 percent). "This issue lies across the fault line of two world views. One is build it up to code and it&apos;s ok, and the other is to look at water depletion and climate change as well — the big picture," Ludwig said. In a dilapidated trailer next to their house, Ludwig and his college-age daughter, Maya, usually aided by an intern or two, work tirelessly to compile videos, pictures, and new data for their seemingly endless Web site. From the mountainside vantage point of these cramped quarters — which are perennially cluttered with charts, official documents, and the odd bowl of fruit — the distant Pacific Ocean is visible through a couple of small windows, reminding them how connected everything really is.